Christina at Wardrobe by Me was asked if she could create a beautiful flowing tiered skirt by members of the Wardrobe By Me Pattern Support Group - and this is what she came up with - it definitely fits the bill!! 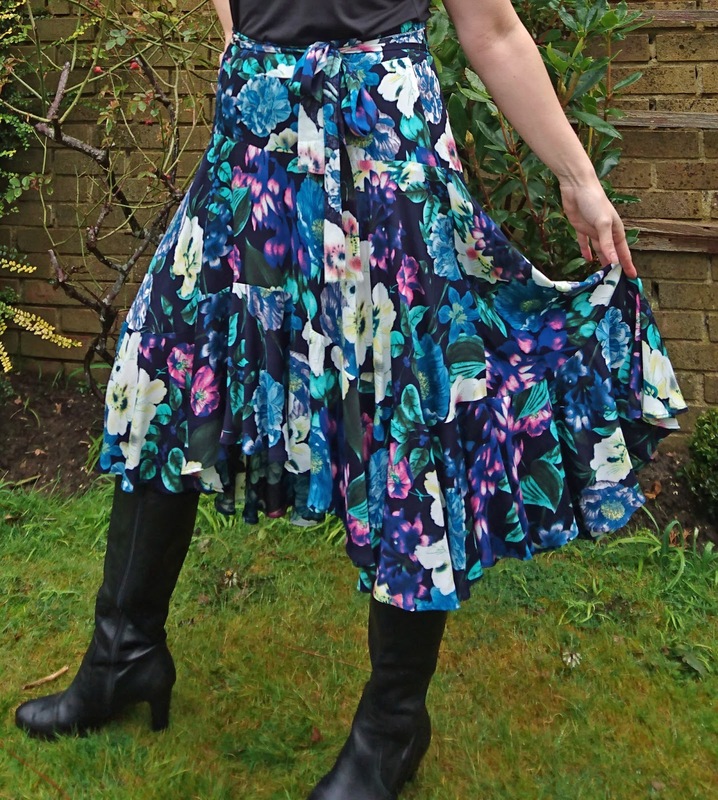 This is the Belle Skirt - it has three tiers and an elastic back waistband, with the option of a tie belt. 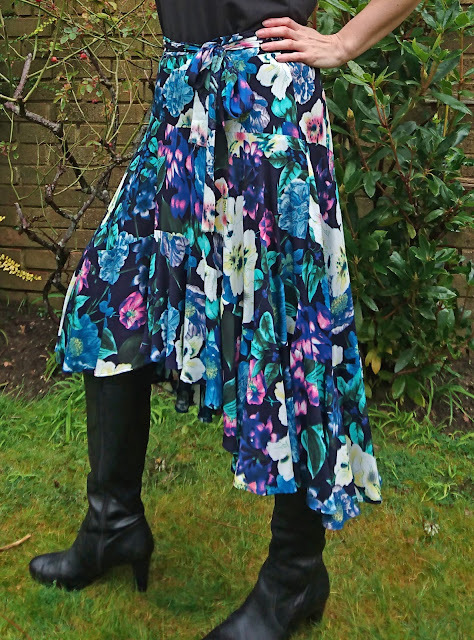 For anyone who is above 5'6" (the height this pattern is designed for), or anyone who would like a longer version there is a longer length bottom ruffle. 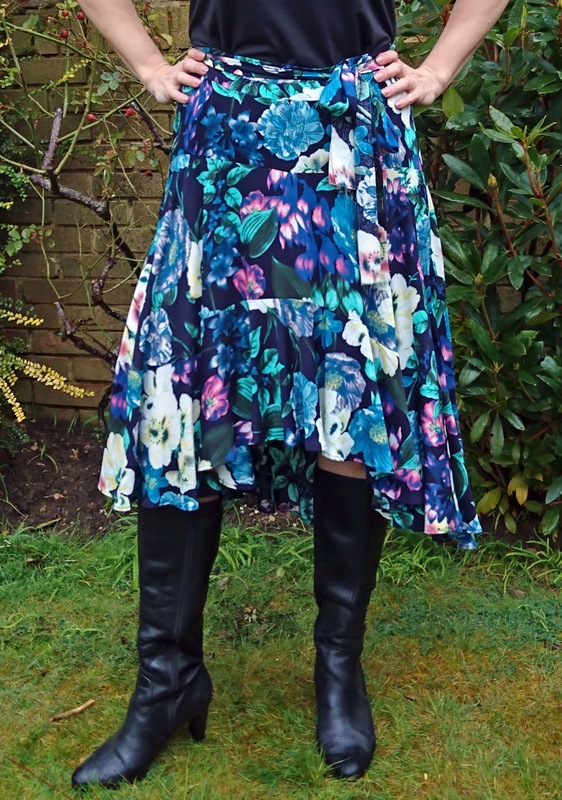 For reference for anyone who is wondering - I am 5'6", and used the shorter length bottom tier. This skirt is quite fabric hungry due to all the lovely flowy layers, but I bought four meters to be on the safe side and have a fair bit left over - and it is well worth it! 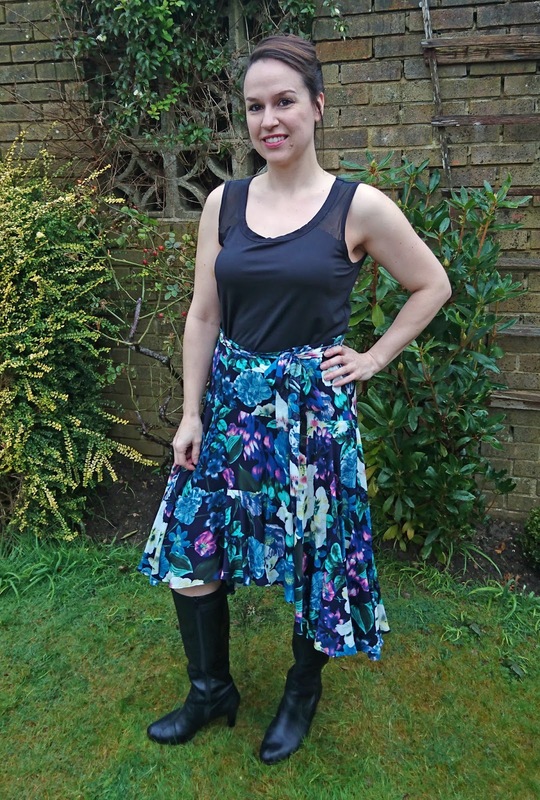 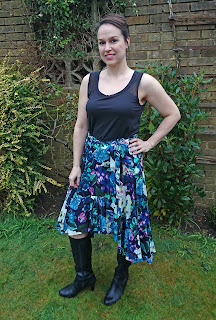 I used a viscose, which was around £4 per meter from my local fabric shop - so the skirt really didn't work out very much cost-wise compared to what you would pay on the high street. 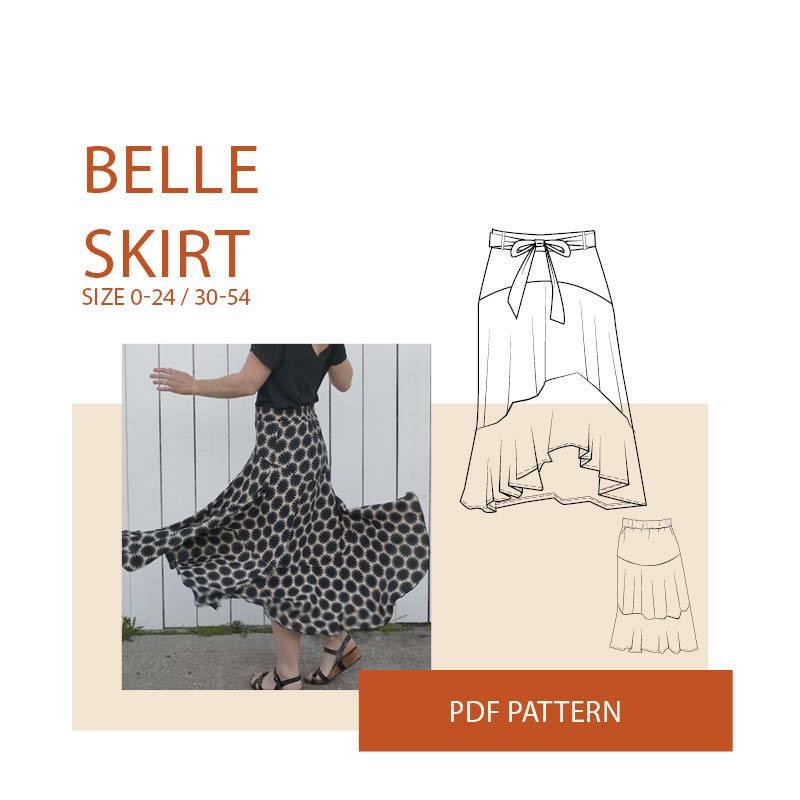 The pattern is simple to construct with nice easy to follow instructions, and you can alter the elastic length in the back of the skirt waistband to get the best fit for you. The only time consuming part really was hemming it - that is one long hem!! 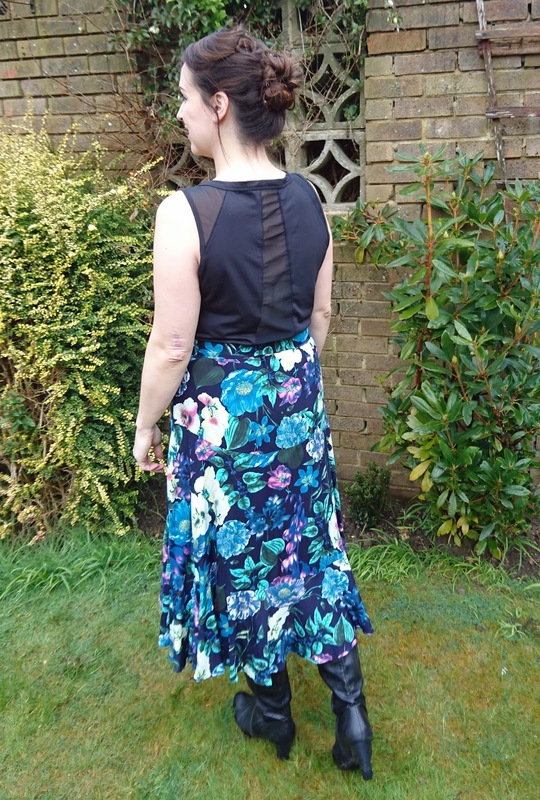 I used my narrow hemming foot, which made it much quicker and easier, as it folds and stitches the hem all in one step for you! 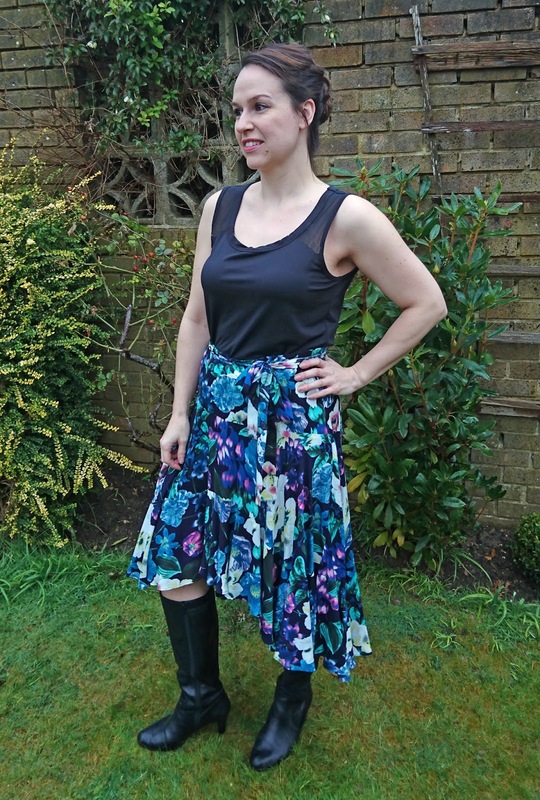 A great top to match this skirt is the WBM Summer Tulip Top, which Christina is also offering at a sale price for the duration of the release sale. One tester made up the tulip top in the same fabric as her skirt, which made her outfit look like a beautiful dress. 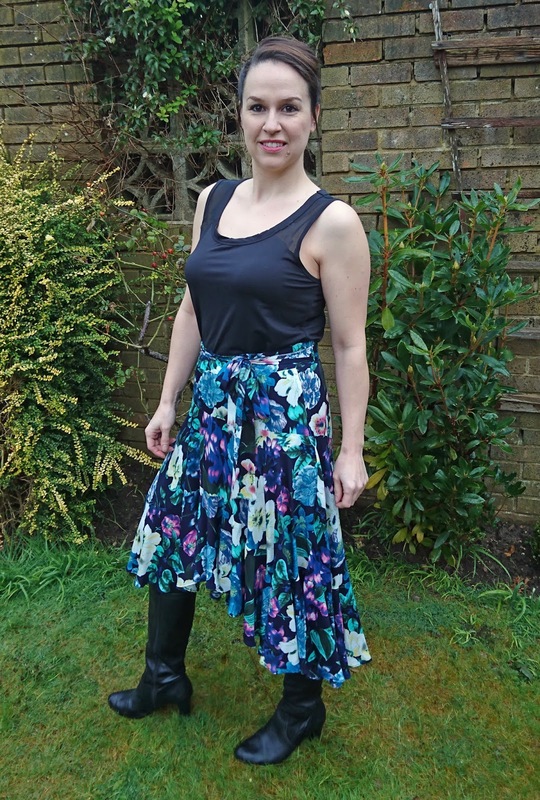 Check out the Belle Skirt listing page for more pictures of all the testers lovely skirts. 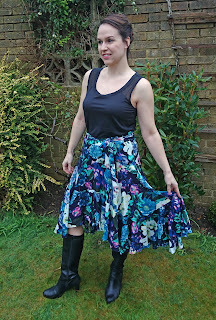 Look how wonderful and twirly the skirt is in the picture below!! Go and grab your copy of the pattern while it's still on sale ($9 instead of $11) HERE. That is beautiful, love the colour and the flow of the material.